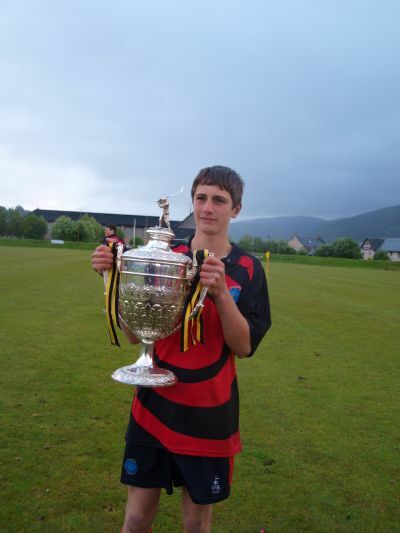 This page is dedicated to former players who have left Kinlochbervie High and moved on to pastures new! 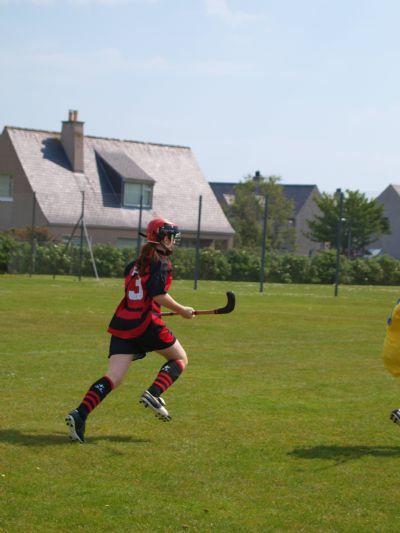 We wish them all the best for the future and hope they will keep up their interest in shinty. 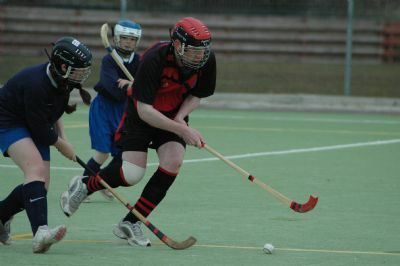 Iain Allison - A truly excellent player who will be sorely missed in the KLB defence, nothing got past Iain! 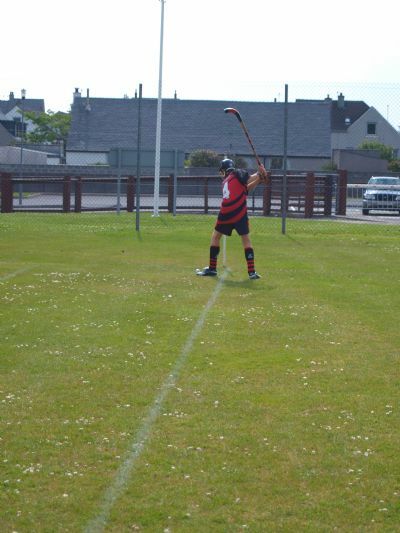 He will continue his shinty playing for Loch Broom and of course for KLB at the Sixes! Iain has got an mechanical Engineering apprenticeship with Reay Forest Estate. Good luck for the future Iain. Sophie Clark - Another big hole will be left in the KLB defence. A tough young lady who relished being the only girl in the team, in the match and quite often in the whole tournament! Always a great role model with great attitude and spirit. Sophie has started her course as a trainee Game Keeper through Thurso College with a placement at Reay Forest Estate. We wish her well. 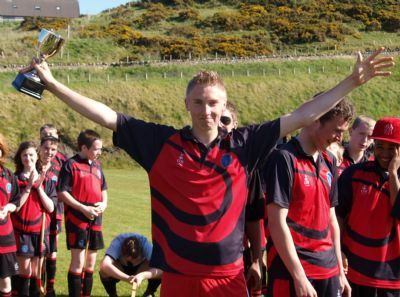 Donald Mackay (Dodi) - Our full centre, goal scorer and all round great player. Dodi never gave up, no ball was left, his determination won KLB matches. Dodi will be following his Dad and Grandad in the family business aboard the Loch Inchard II. Good luck Dodes. 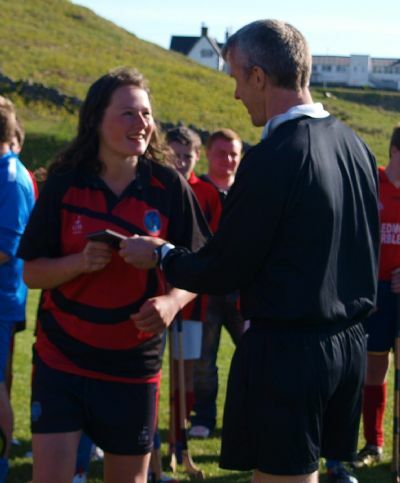 Taylor Mackay - Captain of Kinlochbervie Camanachd for two seasons. A great midfield player with his very own style. Fast and strong on the pitch and a gentle leader to his team mates. Taylor is heading to Inverness College to do Mechanical Engineering, good luck for the future Taylor! Oliver Feliz (Ollie), a great natural athlete who's broad smile and quick wit were a great asset to the team. Oliver was a brilliant forward who always came through in tense situations, never letting the pressure get to him. Ollie is going to Loch Duart to begin his engineering apprenticeship, we wish him well for the future. Nathan Kish, an unbelievably fast midfield player who also played defense and forward when necessary. 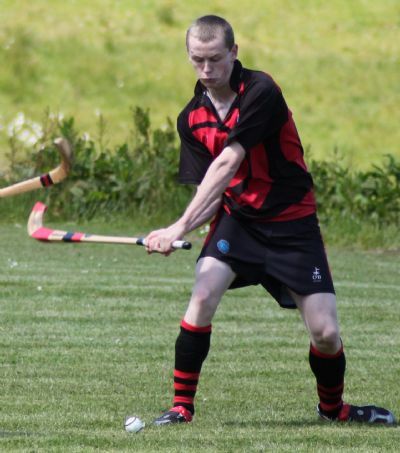 Nathan is moving to Kincraig with his family and we are sure he will continue playing in shinty country. Best wishes Nathan. Erin Kish - A really tough midfield player, not afraid to shoulder the boys out of her way and steal the ball for her team. Good luck in Kincraig and in Kingussie High, Erin. Keep playing. Struan Kish - Another great midfield player with lots of potential. Struan also played as a forward and scored many goals for KLB Camanachd and was awarded "Junior Player of the Tournament" at the Far North Sixes Day. 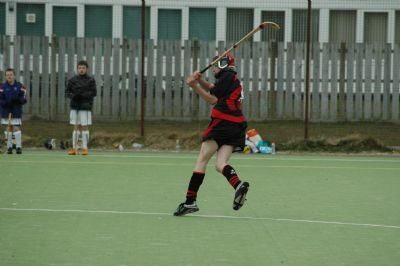 Keep playing shinty Struan, you'll do well. Kyle Clark, full centre and crack shot. 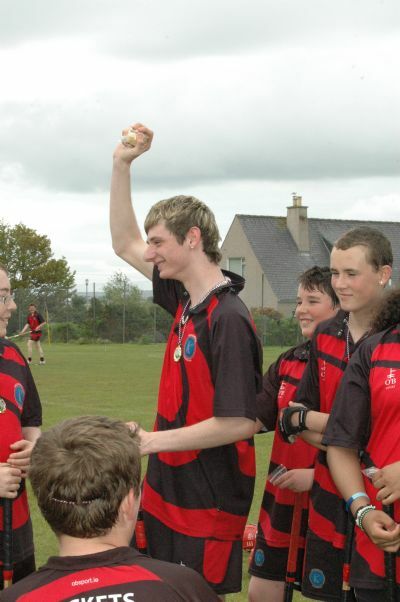 The first captain of Kinlochbervie Camanachd, a leader who brought kids to shinty. Without his influence there would never have been a KInlochbervie Camanachd. We'll continue to see Kyle as he is going to assist in the coaching of the team when he can. Michael Forbes, ace defender and team motivator. Hopefully Michael will come along to our home games and keep up the motivational support!